I mentioned in my last post that I’m giving up dairy (again) and for real this time. So I’ve been doing a lot of my own cooking, because eating gluten and dairy free out in the wild is a bit difficult. I have been modifying recipes I find online to mostly good results. Here are a few recipes I’ve tried and modified to fit my needs! I made a pretty good beef stroganoff about a year ago when I first started the Whole 30. This one comes from Instant Pot Eats and is easily modifiable to be dairy free. I swapped 1/3 cup of coconut yogurt for the sour cream, left out the peas and parsley, and added a tablespoon of coconut aminos to the cooking liquid. It was awesome, I served it over mashed potatoes made with chicken stock and Earth Balance (the soy and dairy free one.) I will definitely make it again. Y’all, I have been craving a gyro for months, but between the gluten in the pita, the gluten in the meat, and the dairy in the tzatziki, none of that was going to happen outside of my kitchen. So here’s what I did. I found this recipe for beef gyros from Tastes Better from Scratch, which I cooked in the Instant Pot. 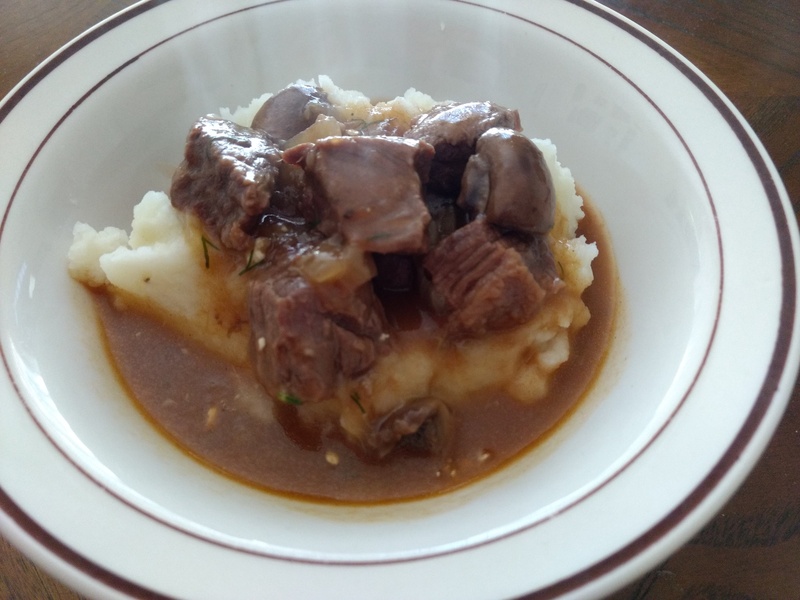 The only modification was that I used beef broth instead of water, and I made about half of what the recipe calls for. I thought the tzatziki recipe there was a little odd since it didn’t have any cucumber in it, so I found this one from the Food Network. Instead of a cup of greek yogurt, I used 1/2 cup of coconut yogurt and 1/2 cup of coconut cream (put your can of coconut milk in the refrigerator for a day and the cream will separate from the liquid. You want the thick stuff here.) I blended that together in my Magic Bullet (the blender, not the hangover prevention drink) and then followed the directions exactly. It’s so good, I’ve been eating it on things that are not gyros. The pita I used is from MyBread, and it’s gluten and dairy free. I found it at Sprouts in the refrigerated bread area. I toast it in a dry frying pan for about a minute on each side, just to get a little color on it – it’s really good. It is not paleo, but the meat and tzatziki (as modified) are. So I just used all of the above, plus some sliced tomatoes and a bit of lettuce, and it was heaven. It was so good that I forgot to take a picture – whoops! Apple cinnamon carrot muffin with dark chocolate chips is this week’s breakfast of champions! I know, it sounds a little crazy. Bear with me. For the longest time, I ate that apple-sweet potato bake I discovered during the Whole 30, but I just got sick of it. I’m not eating completely paleo (as evidenced by the pita bread! ), and I’ve tried a few different breakfast options. I did bagels and peanut butter for a while, then made a tater tot casserole (that got old quick), and was even making bacon and egg tacos in the morning for a while. None of it has been the right mix of filling, convenient and easy. Enter the muffins full of fruits and vegetables. 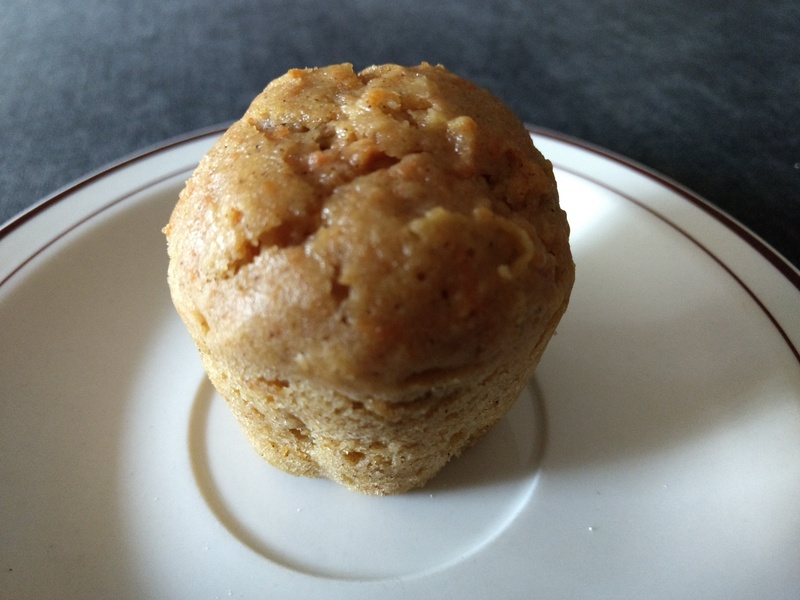 I found this recipe for Apple Cinnamon Sweet Potato Mini-Muffins at The Comfort of Cooking, but couldn’t find a sweet potato at the grocery store. Thankfully, I remembered reading that carrots could be used, so I went that route. I swapped the flour for Bob’s Red Mill 1 for 1 Baking Flour, cut the brown sugar down to 1/4 cup, and used applesauce and carrots in the places there are options. I ran out of mini-muffin paper cups, so I made half minis and half “regular” – I have those Ikea silicone cups that are a weird shape, so they are a little tall and skinny. I topped some with dried cranberries before baking, and I threw a handful of dark chocolate chips in to the end of the batter for the last three muffins. They are awesome. I made them yesterday, and today they were already getting kind of sticky/too moist in their bags. Some are in the freezer, so hopefully when I bring them down one by one, I’ll avoid the sticky phase. I managed to grate three carrots and an apple with no injuries, then promptly grated a knuckle while doing dishes. Knuckle grating aside, these dishes have been my biggest successes over the last week of cooking. I also made an unremarkable Hungarian Goulash that I probably won’t repeat, and threw together a baked potato soup that was just okay. They can’t all be home runs, right? What are you eating these days? 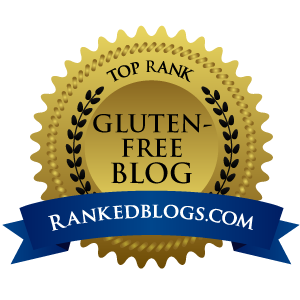 Have any favorite recipes or bloggers that are gluten and dairy free? Let me know in the comments! *Products featured in this article are linked via the Amazon Associates program. I receive a small percentage of purchase totals when things are bought via these links, which helps offset web hosting fees. It costs you nothing! If you’re going to buy these or other items via Amazon, please consider using one of my product links to make your purchase. Thank you!